Boombastic Nails: Barielle January Sweepstakes! Hello :) Happy New Year !! 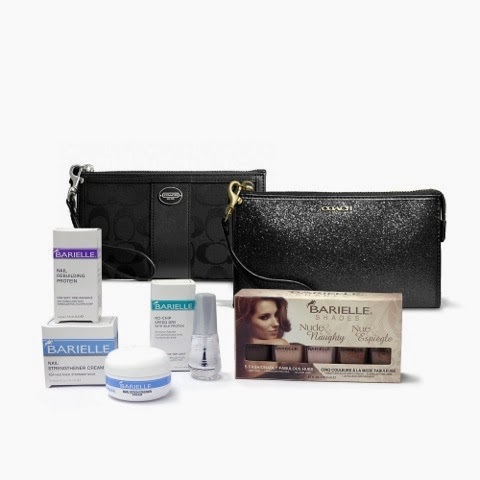 Just wanted to give you heads up that Barielle is having a January sweepstakes starting today, January 8, 2014 and ends on January 22, 2014. This is announced on their Facebook page here. Two Grand Prizes will include the fashion accessory plus the Barielle Kit. The ten prizes are the Barielle products only. How do u sign up? @mara page: Please go to Barielle's Facebook Fan page to enter. Link is at the beginning of this post. Thanks!